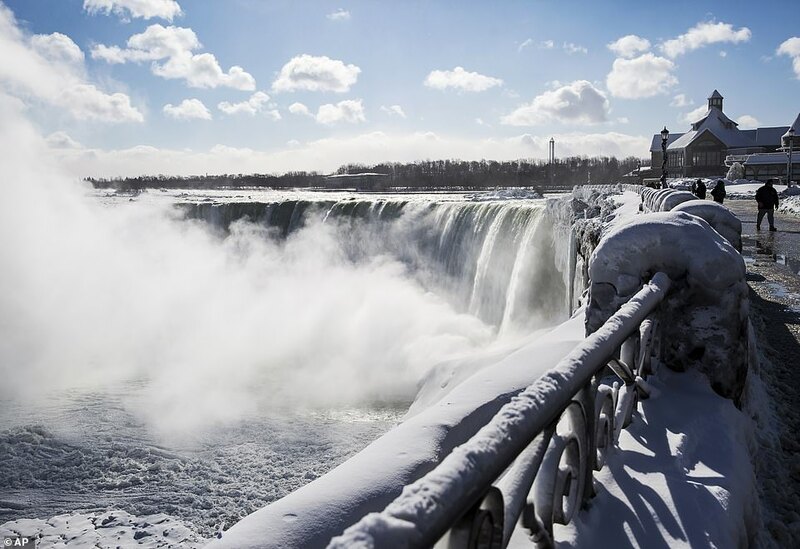 The polar vortex has turned Niagara Falls into a spectacular winter wonderland as it bears down on the Northeast. 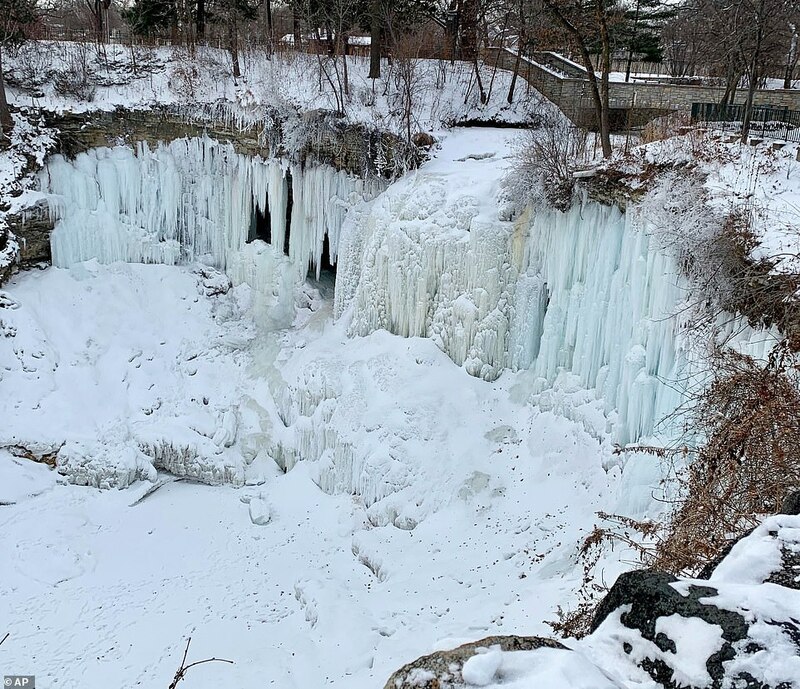 Temperatures dropped to -4F in Ontario, Canada, on Thursday as tourists observed large chunks of ice flowing over the tremendous volume of water. 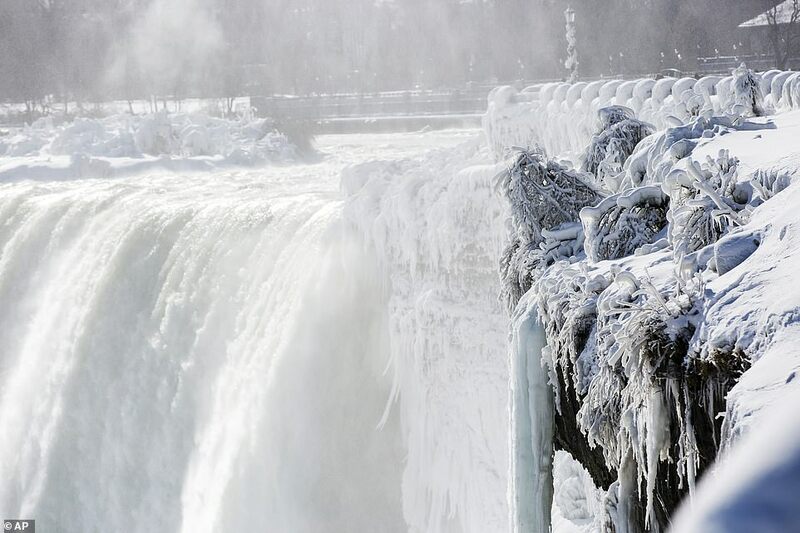 Ice and snow could also be seen on plants surrounding the American, Horseshoe and Bridal Veil Falls. 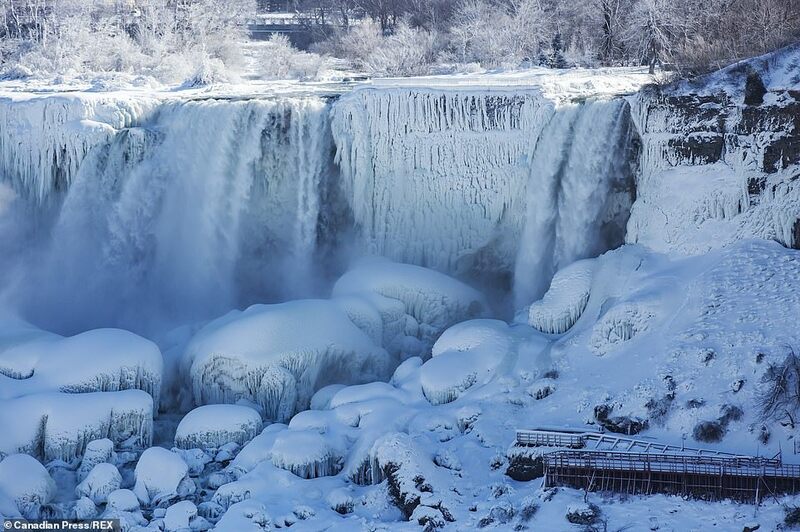 Breathtaking images show the ice formations created by the falling water and mist along the banks of the falls and river. 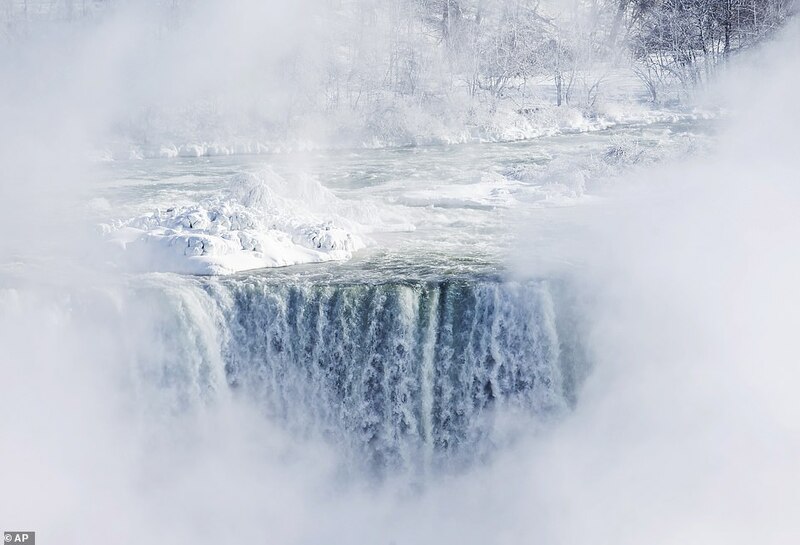 Steam was seen rising up from the Falls because the water temperature is warmer than the freezing air. 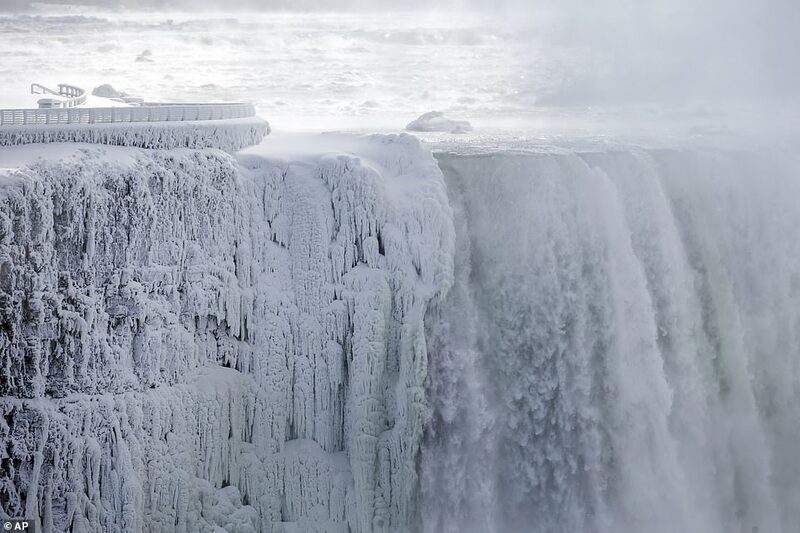 And though some photos show what looks like frozen solid Falls, the water actually never stops flowing. 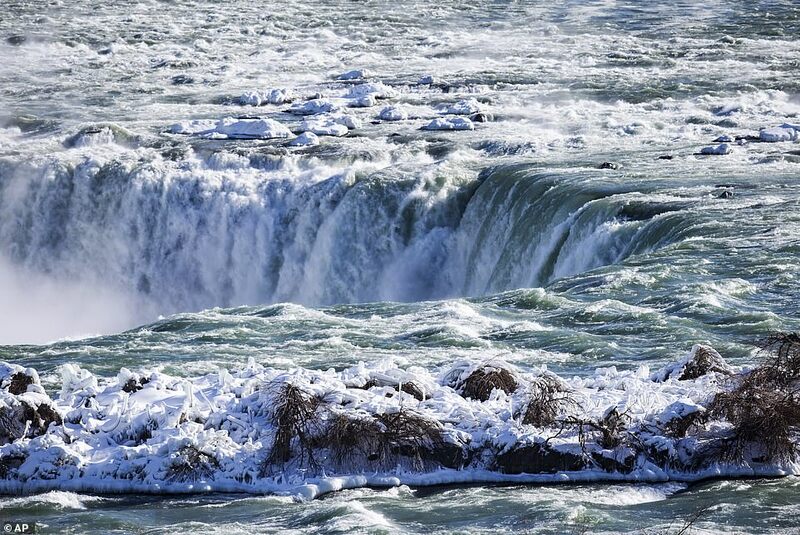 According to Niagara Falls USA, ice forms on the river every winter. 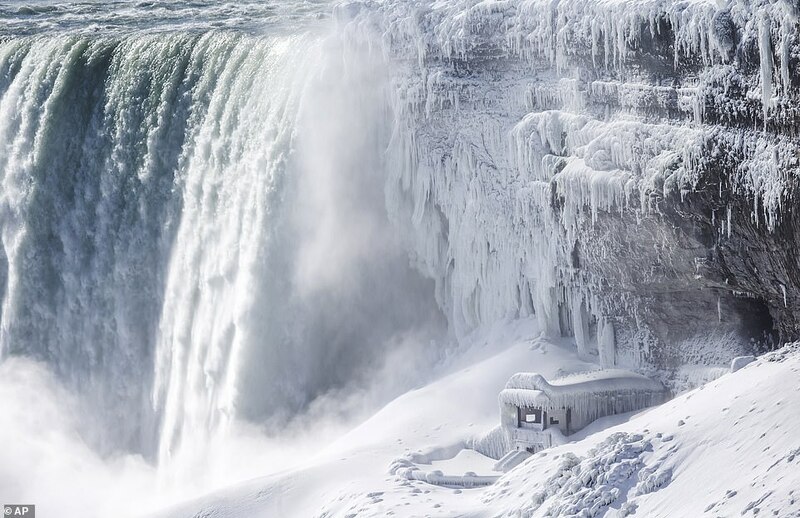 But the extent of the Falls actually freezing over depends on extreme cold weather lingering for long periods of time like the polar vortex events of 2014 and 2015, which can result in frozen falls photos. 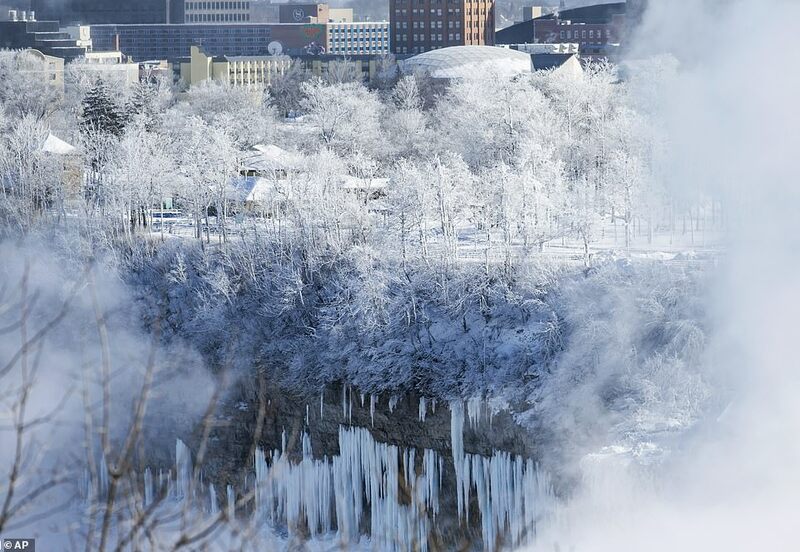 Earlier this month, photographers captured ghostly scenes of frozen portions around the Falls. 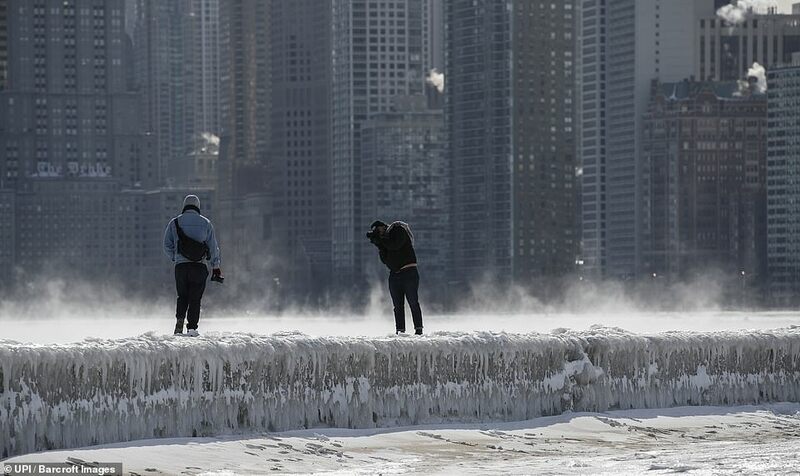 The polar vortex that paralyzed the Midwest has killed at least 21 people and left tens of millions of Americans shivering for a second day as temperatures plunged to record-breaking lows. 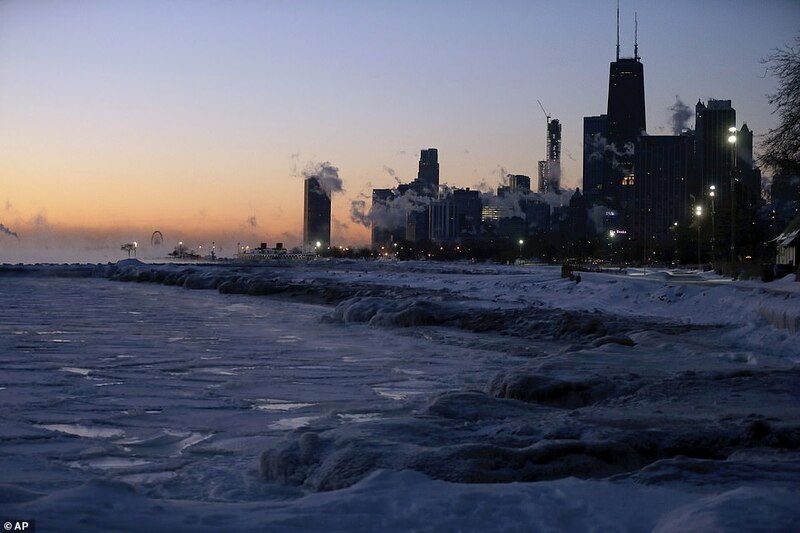 The death toll rose from a previous 13 after at least eight more people in Chicago were reported to have died from cold-related injuries, according to Stathis Poulakidas, a doctor at the citys John H. Stroger Jr. Hospital. 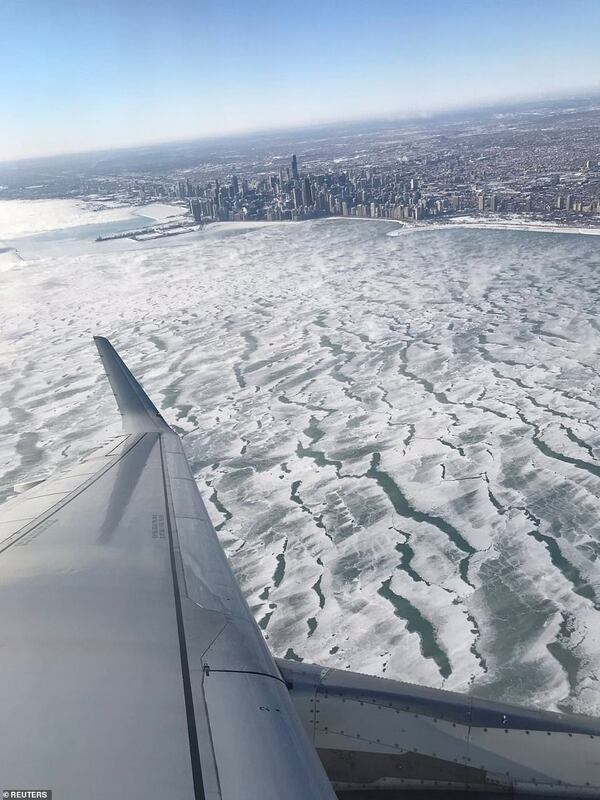 Frigid conditions canceled more than 2,300 flights and caused more than 1,500 delays on Thursday. 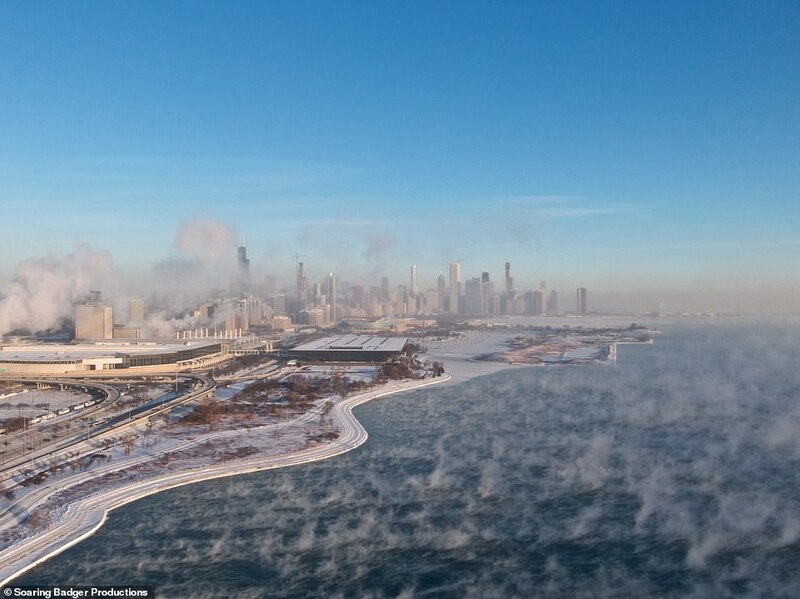 Chicagos temperature dropped to a low of around -21F on Thursday, slightly above the citys lowest-ever reading of -27F in January 1985. 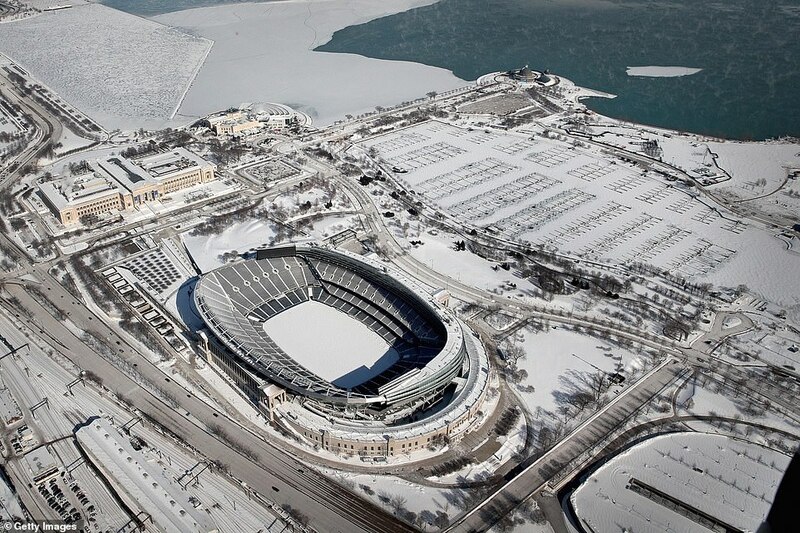 Milwaukees low was -25F. 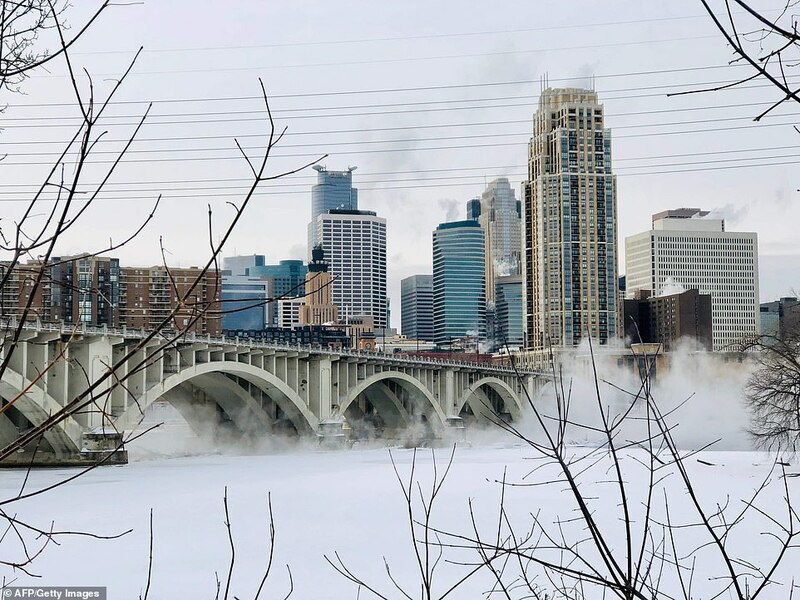 Minneapolis recorded -24F, and wind chills were as low as -38F, an improvement from a day earlier. Rockford, Illinois, saw a record low temperature of -31F on Thursday, while Cedar Rapids, Iowa, set a daily record low of -30F. 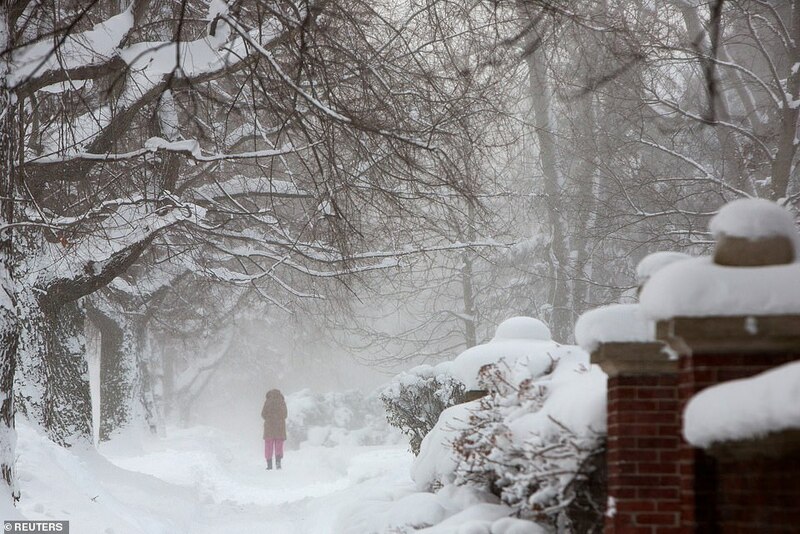 The extreme cold also settled in over the Northeast on Thursday. 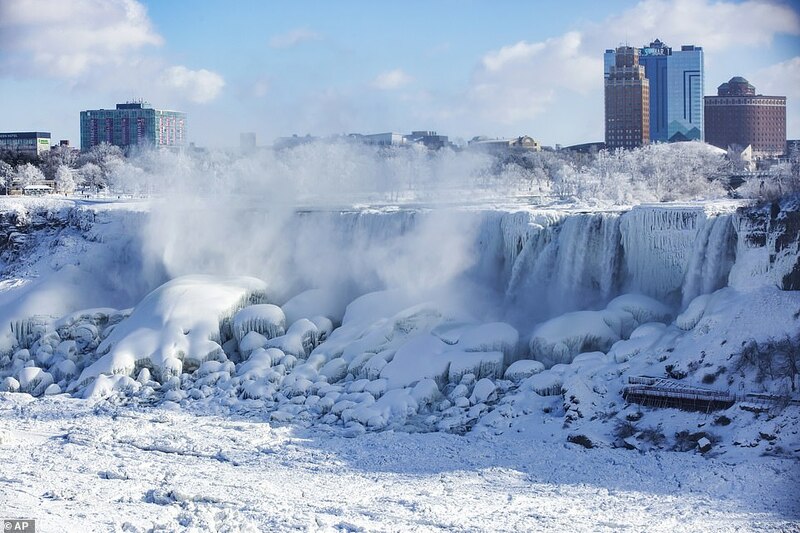 In western New York, a storm that dumped up to 20 inches of snow gave way to subzero temperatures and dangerous wind chills. 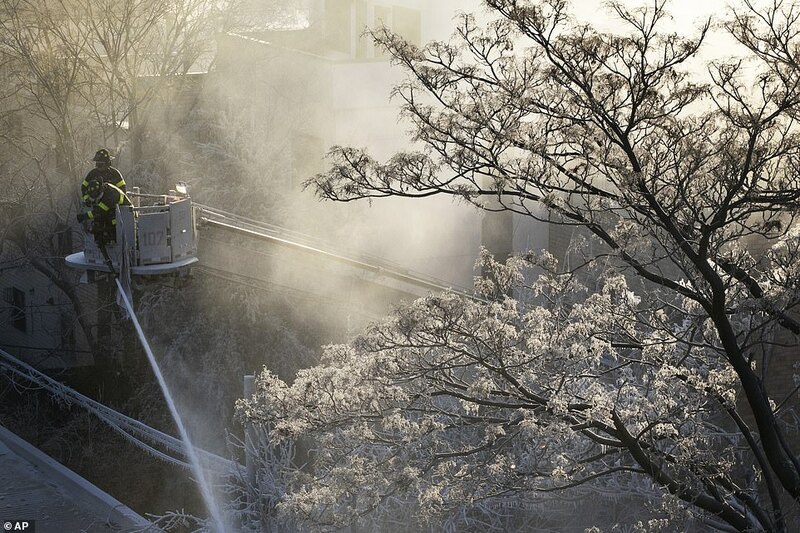 The arctic conditions caused problems from Buffalo to Brooklyn, where about 200 firefighters battling an early morning blaze in a commercial building took turns getting warm on buses. 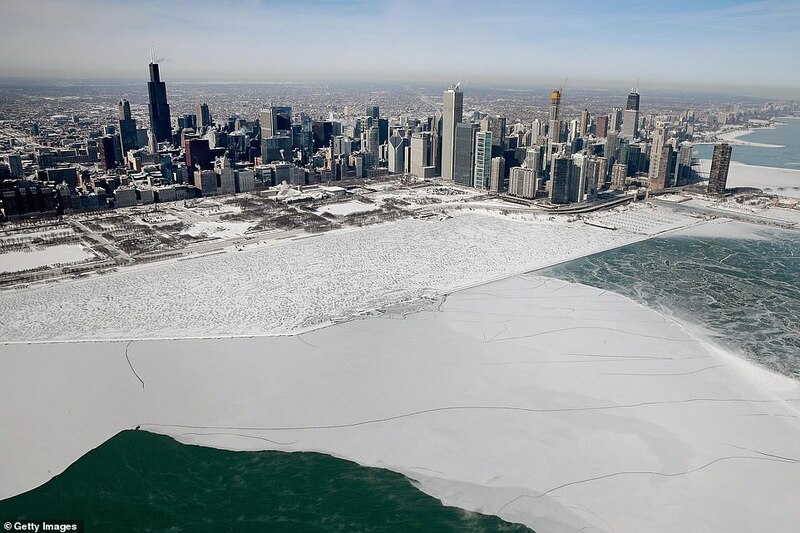 The phenomenon caused surreal scenes throughout the region, including Lake Michigan freezing over and blocks of ice covering the river in downtown Chicago. NASAs Atmospheric Infrared Sounder (AIRS) instrument (below) captured the polar vortex as it moved southward from central Canada into the Midwest from January 20 the 29th, with the purple showing the vortex at its coldest..
At its worst, the cold snap caused temperatures to plunge to -42F on Wednesday across the Midwest. 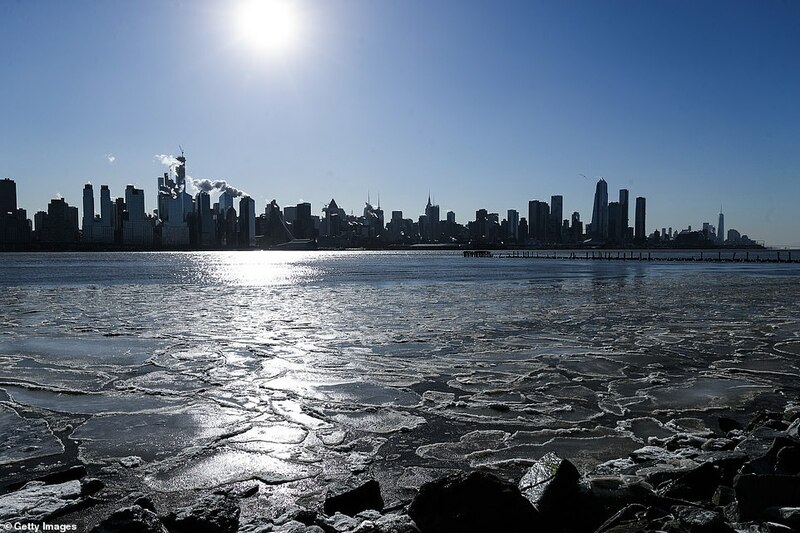 It pushed eastward and states including Massachusetts, New York and Pennsylvania were experiencing bitterly cold temperatures Thursday. 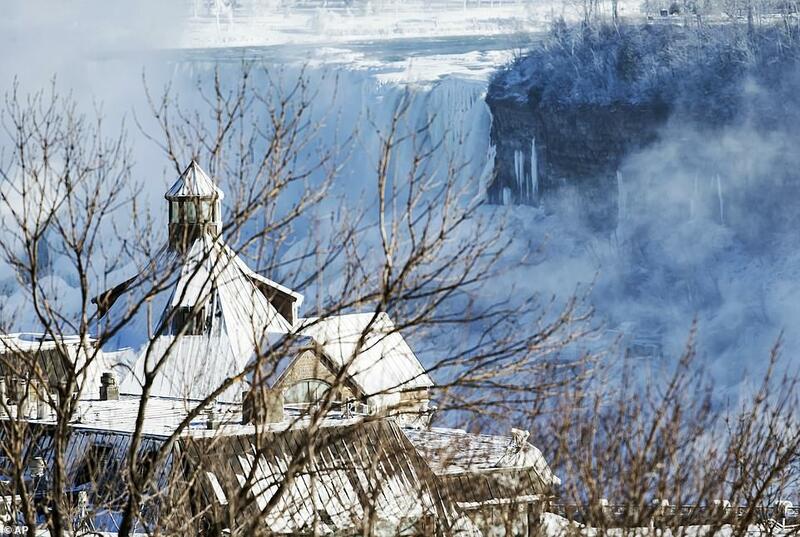 The prospect of a weekend break offered little comfort to those enduring icy conditions, brutal winds and temperatures. 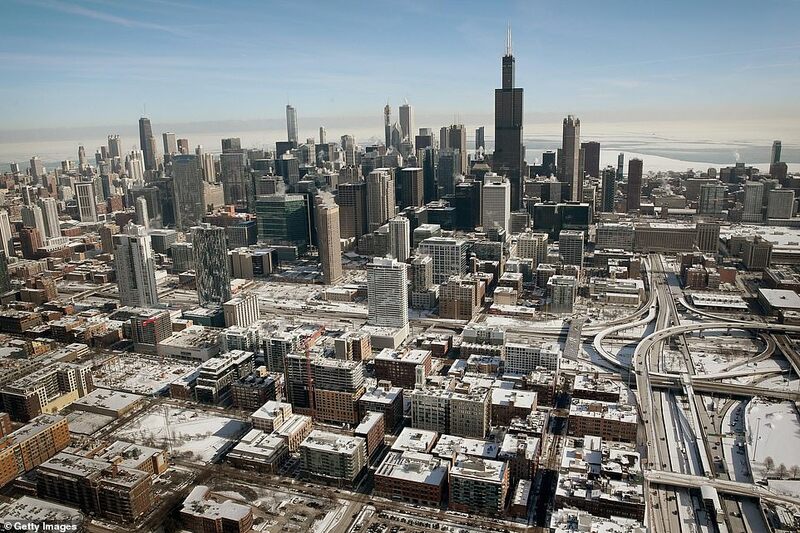 By the weekend, Chicago, which experienced near-record cold on Wednesday and Thursday, was expected to bask in snow-melting highs in the mid-40s to low 50s Fahrenheit. So will other parts of the Midwest. 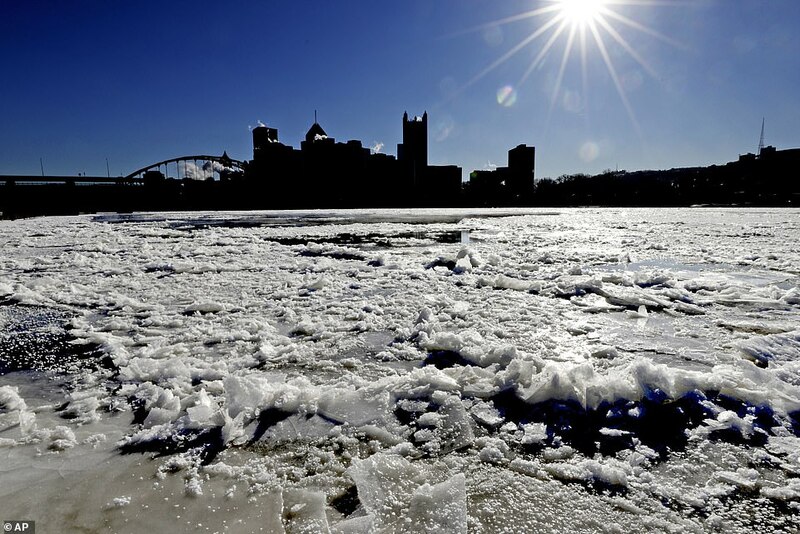 The deep freeze has caused more than a dozen deaths since Saturday with some dying in weather-related traffic accidents and others from freezing to death. The body of 18-year-old pre-med student, Gerald Belz, was found in the freezing cold at the University of Iowa at 3am on Wednesday. The National Weather Service said the wind chill in Iowa at the time he was found was negative 51F degrees. Police found a mans body across the street from his home in the Detroit area on Wednesday. He was not wearing a hat or gloves and wasnt dressed for below-zero temperatures. A 70-year-old man was also found dead in Detroit in front of a neighbors home on Wednesday. An 82-year-old central Illinois man died in the cold weather several hours after he fell trying to get into his home. 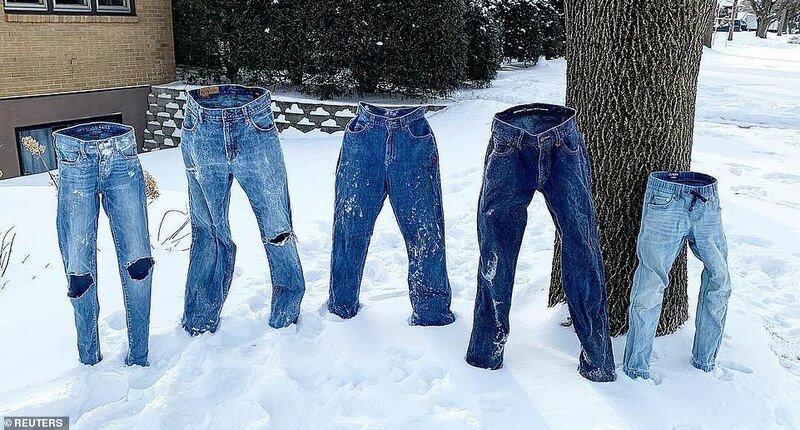 Authorities said a Milwaukee woman, 38, was found frozen in her unheated apartment, a 60-year-old woman was found in a house in Ohio and the body of a Michigan man, 60, was found outdoors in freezing conditions. A 55-year-old man also froze to death in his Milwaukee garage after he collapsed shoveling snow, a man was fatally struck by a snow plow in Chicago, a nine-year-old died in an Iowa pile up and a young couple were killed when their SUV struck another on a snowy road in northern Indiana. A homeless man was also found dead at a bus shelter in Buffalo, New York on Thursday. 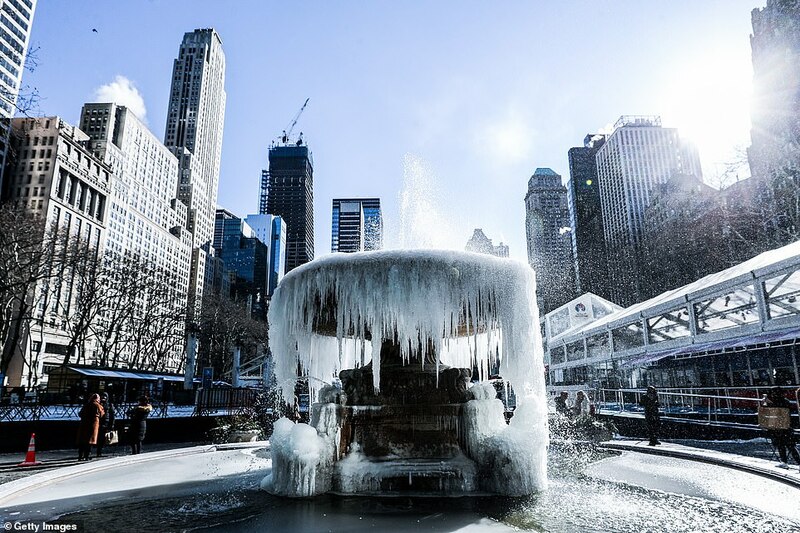 Disruptions caused by the cold snap continued to persist on Thursday with power outages and canceled flights and trains. Crews in Detroit will need days to repair water mains that burst on Wednesday and other pipes can still burst in persistent subzero temperatures. Schools in parts of Wisconsin, Minnesota, Michigan, Illinois and Iowa remained closed on Thursday. But students headed back to school in eastern North Dakota, where the weather was forecast to crawl out of double-digit sub-zero temperatures. 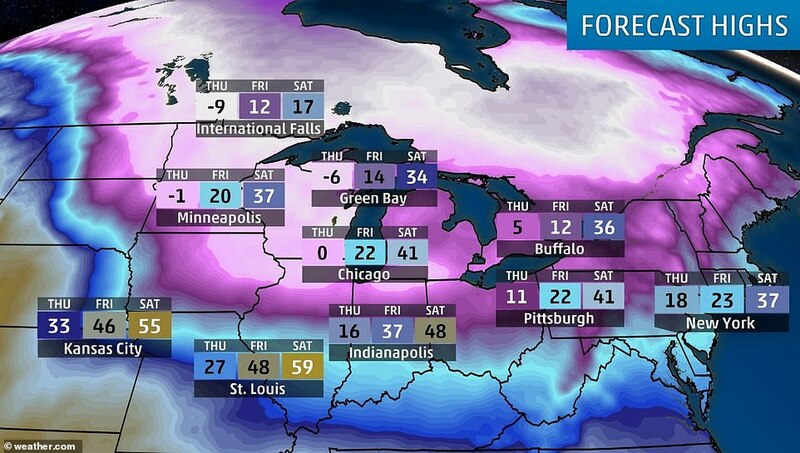 Temperatures are expected to bounce back into the single digits on Thursday and into the comparative balmy 20s by Friday across parts of the Midwest. 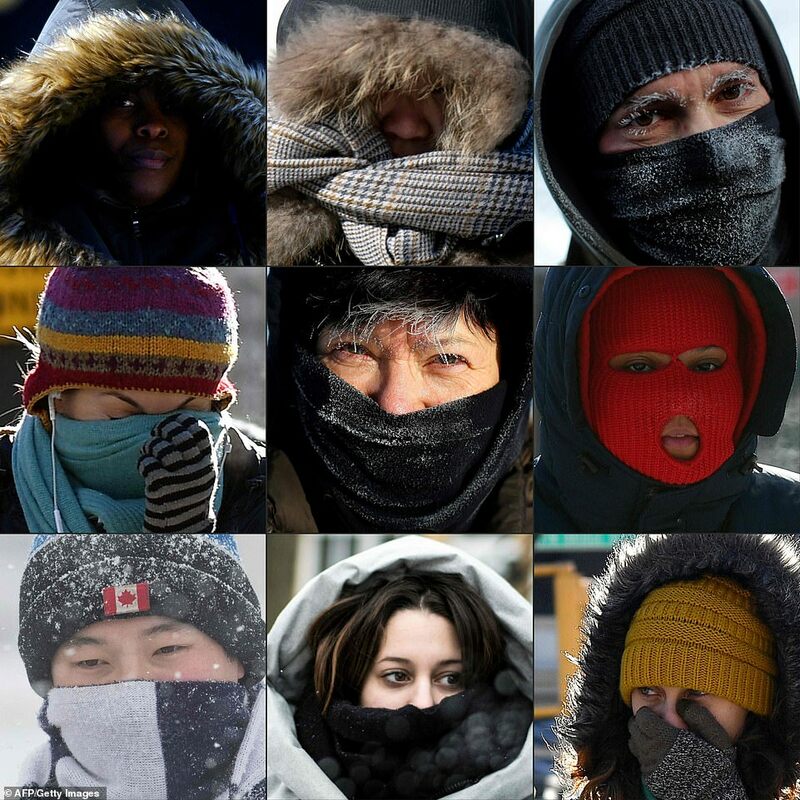 In the Northeast, people braced themselves for the cold with temperatures plunging to -5F in Boston, 3F in Buffalo, New York, 5F in New York City, 8F in Philadelphia and 3F in Portland, Maine, for the early morning commute. 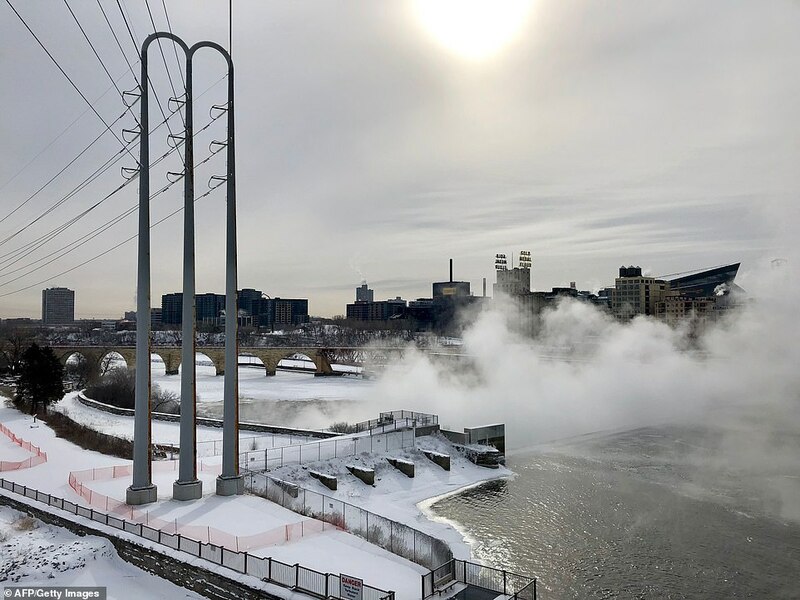 In comparison, temperatures plunged to as low as minus 42F in Park Rapids, Minnesota, minus 31F in Fargo, North Dakota, minus 27F in Minneapolis and minus 25F in Sioux Falls, South Dakota on Wednesday. 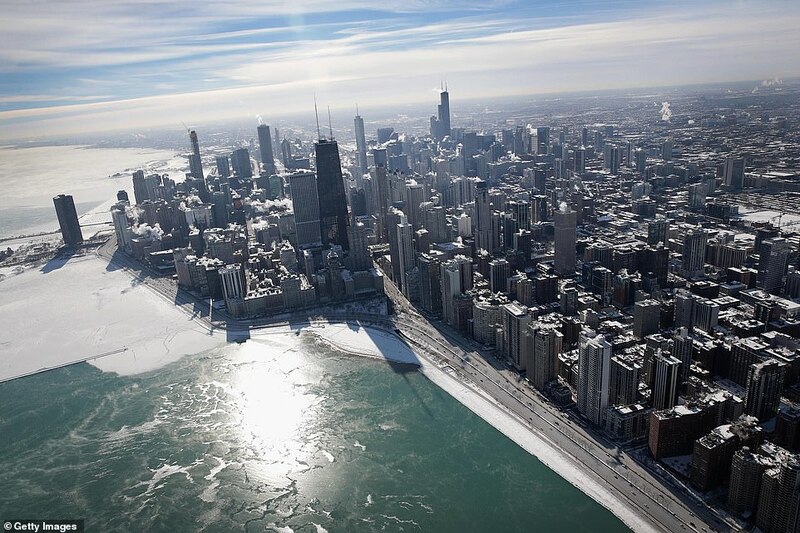 Chicago dropped to a low of around -23F. Wind chills in northern Illinois made it feel as cold as negative 57F. Temperatures in parts of the Midwest were lower Wednesday than in Antarctica, where the Amundsen-Scott South Pole Station hit -25F. 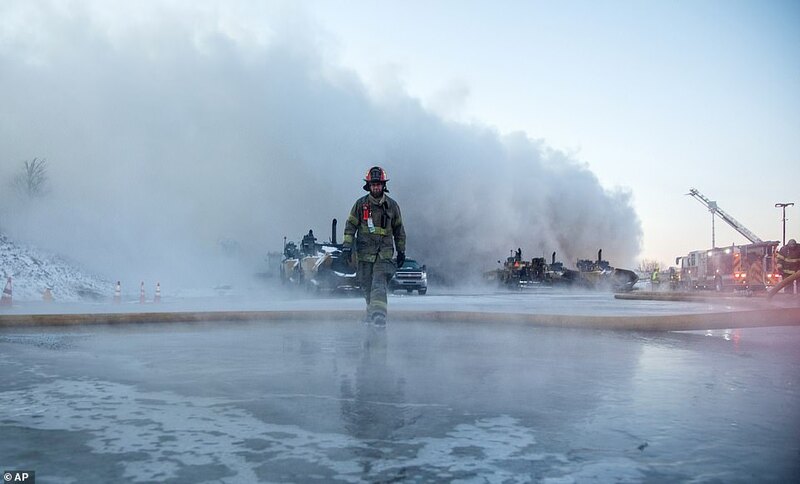 The freezing conditions made it difficult for firefighters to battle various infernos, including one at a New Jersey toilet paper plant late Wednesday. 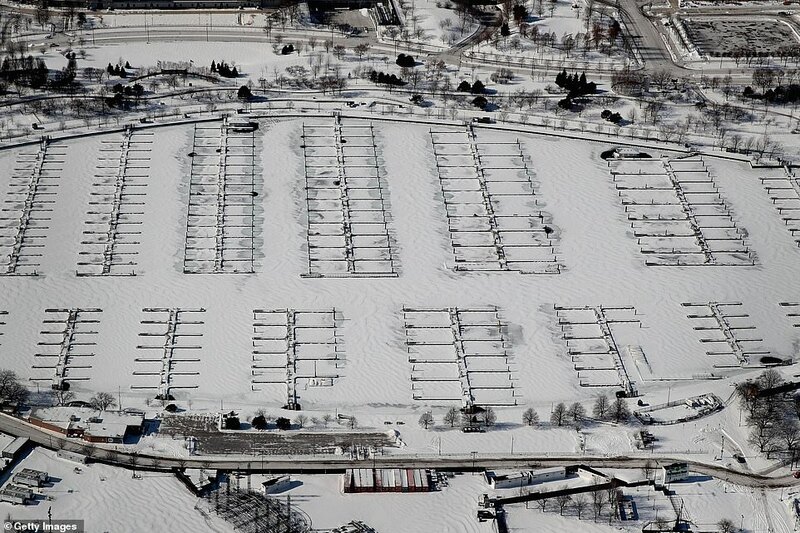 Its freezing, Elmwood Park Police Chief Michael Foligno said. Firefighters are dealing with water on their faces and on their hands. Its spraying all over you. Regardless of your equipment, it impacts you and slows you down. Amtrak also axed all trains into and out of Chicago on Wednesday and most services to or from Chicago on Thursday. Crews had to set rail tracks on fire to keeps trains moving smoothly on Tuesday. 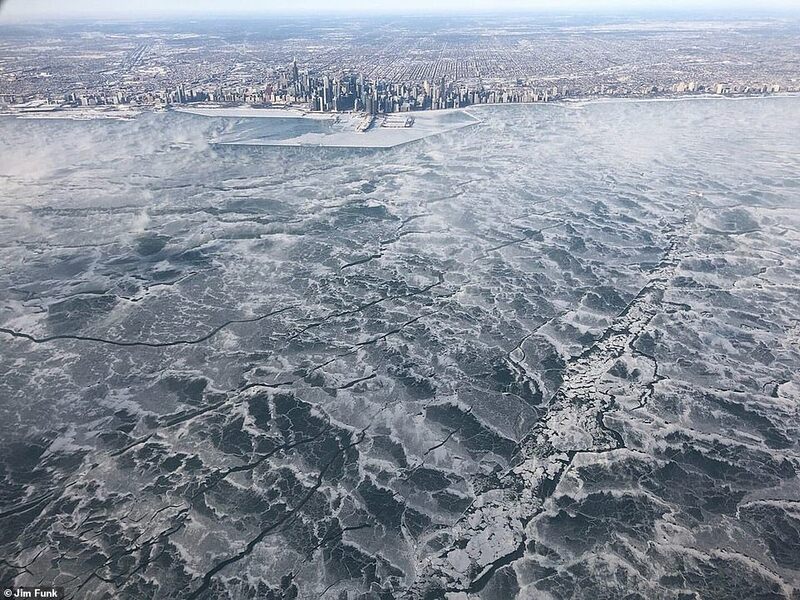 Well over 2,500 flights were canceled on Wednesday, largely out of Chicago OHare and Chicago Midway international airports, according to flight tracking site FlightAware. 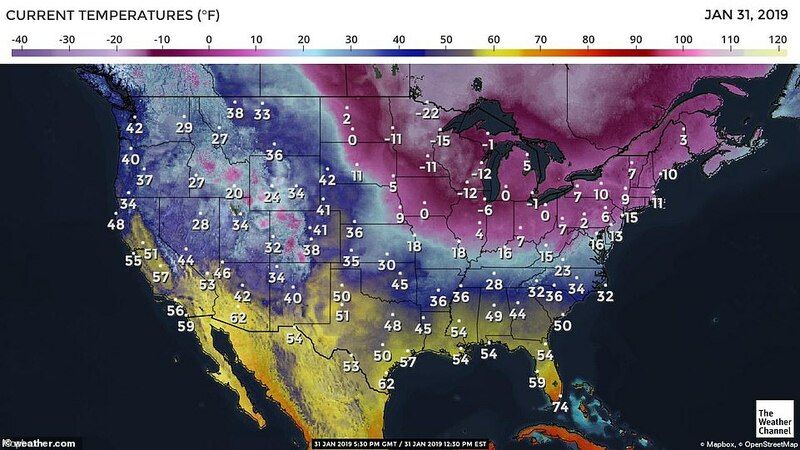 The US Postal Service also took the rare step of suspending mail delivery to parts of Indiana, Michigan, Illinois, Ohio, the Dakotas and Nebraska on Wednesday because of the dangerous Arctic blast. 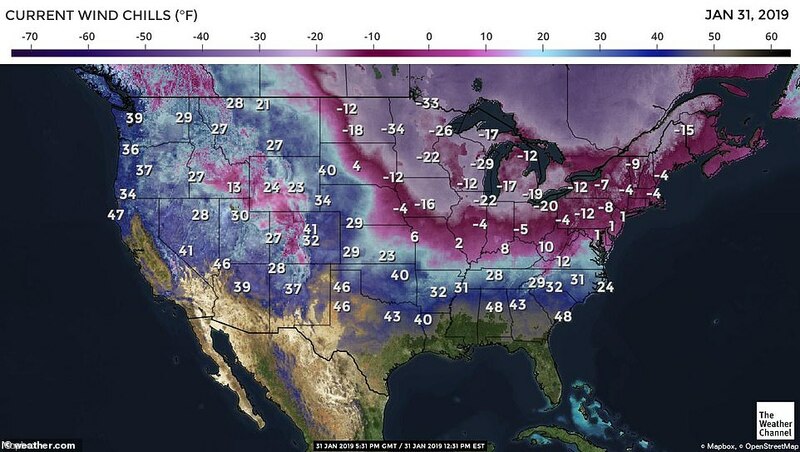 The bitter cold was the result of a split in the polar vortex , a mass of cold air that normally stays bottled up in the Arctic. The split allowed the air to spill much farther south than usual. 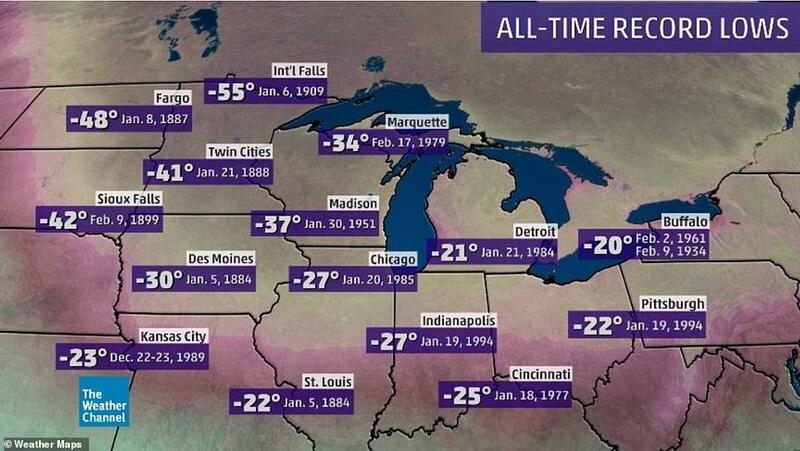 In fact, Chicago was colder than the Canadian village of Alert, one of the worlds most northerly inhabited places. 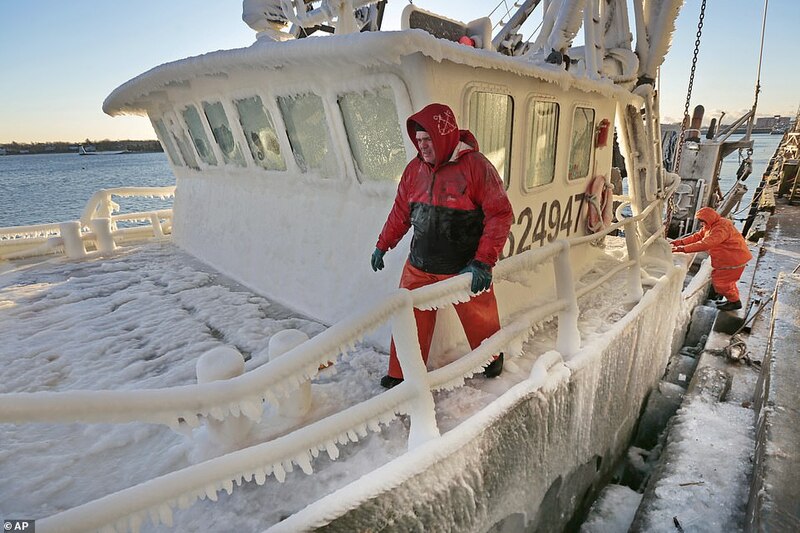 Alert, which is 500 miles from the North Pole, reported a temperature that was a couple of degrees higher. 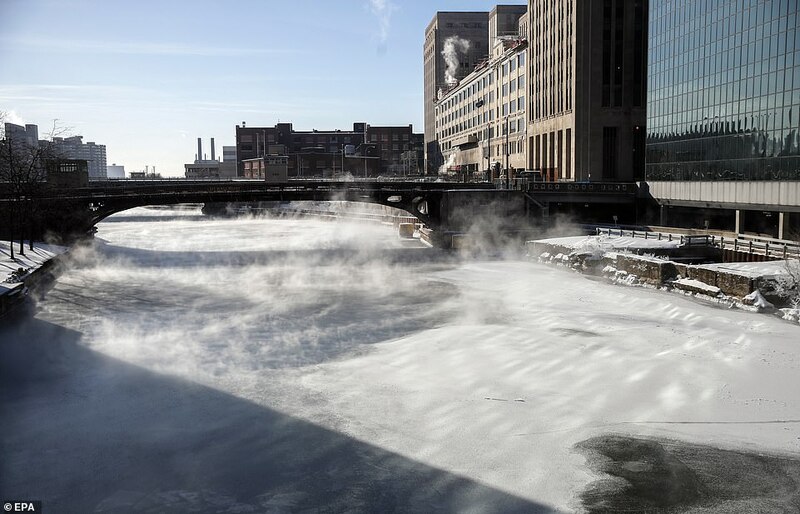 Governors in Wisconsin, Illinois and Michigan all declared emergencies as officials in dozens of cities focused on protecting vulnerable people from the cold, including the homeless, seniors and those living in substandard housing. 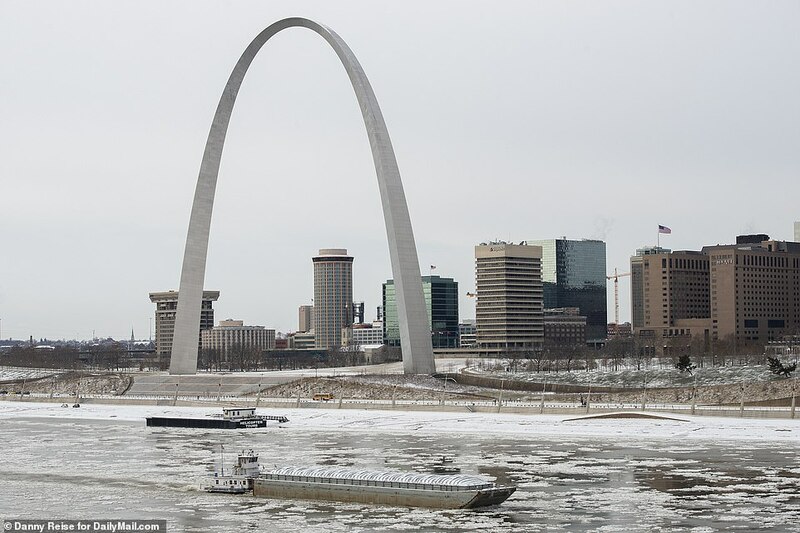 The polar vortex in the Midwest has brought record-breaking low temperatures across the Midwest, halted postal services in five states and canceled more than 2,600 flights. 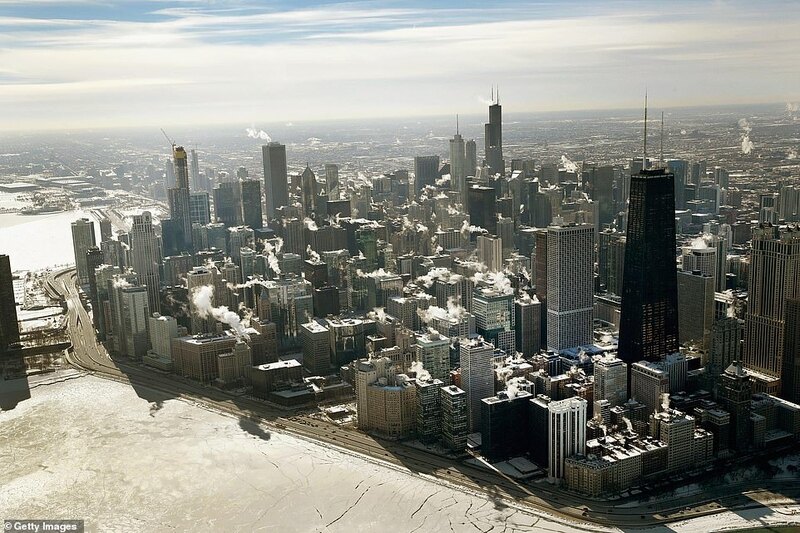 Lake Michigan (above) became a huge mass of ice. 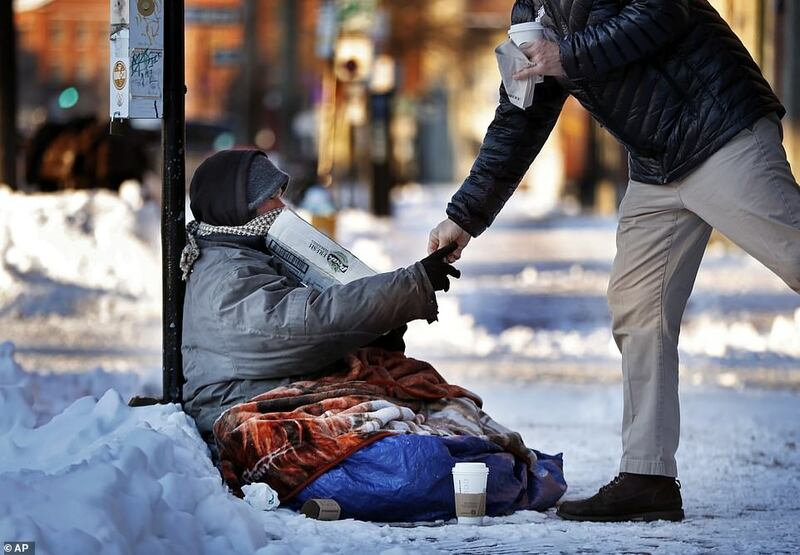 An anonymous good Samaritan paid for hotel rooms for 70 homeless people living in tents in Chicago until the cold subsides. In Michigan, state and utility officials warned residents that they risked brief interruptions of natural gas service if they didnt help reduce energy. The warning followed a fire at a utilitys suburban Detroit facility that affected natural gas supplies. An emergency alert was sent late Wednesday to cellphones asking people to lower thermostats to 65F or below through Friday. Michigan Govenor Gretchen Whitmer asked everyone to to do your part. Aside from the safety risks and the physical discomfort, the systems icy grip also took a heavy toll on infrastructure, halting transportation, knocking out electricity and interrupting water service. Ten diesel-train lines in the Metra commuter network kept running, unlike the electric lines, but crews had to heat vital switches with gas flames and watched for rails that were cracked or broken. When steel rails break or even crack, trains are automatically halted until they are diverted or the section of rail is repaired. 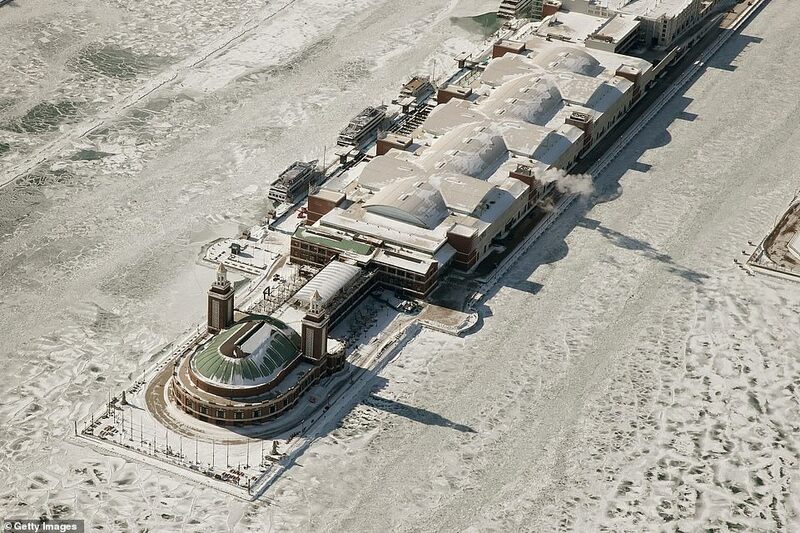 In Detroit, more than two dozen water mains froze. Customers were connected to other mains to keep water service from being interrupted, according to a Detroit Water and Sewerage spokesman. Most mains were installed from the early 1900s to the 1950s. They are 5 to 6 feet underground and beneath the frost line, but that matters little when temperatures drop so dramatically. On a typical winter day, the city has five to nine breaks, with each taking about three days to fix. But those repairs will take longer now with the large number of failures to fix.